Aerosmith in Montreal or Quebec City? Inform me about the next events for Aerosmith. Enroll yourself to our priority waiting list for Aerosmith to be alerted when new tickets are available. Filling this form doesn't engage you to any purchase. Aerosmith is coming to Laval and Quebec City this summer! 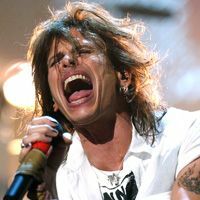 Aerosmith will be performing at the Mondial Loto-Québec de Laval, across the bridge from Montreal, on July 10th, 2012. The band will also perform at the Festival d'été de Québec on July 12th. The last time we saw Aerosmith in Montreal was in December of 2006. The band performed at the Bell Centre, in Montreal. Don't miss their glorious return in Quebec and Laval!